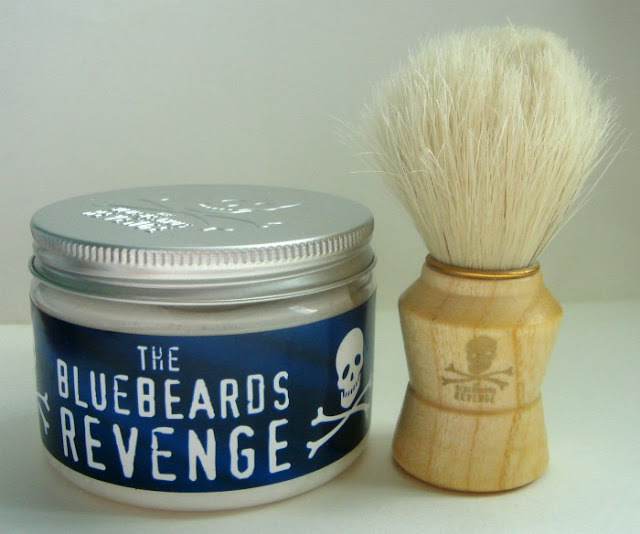 Sophsterlicious • UK Blog: Bluebeards Revenge Review. A ha Me Hearties! It's not for girls, and it's not for wimps either. Hah! I was sent a tub of bluebeards revenge and a shaving brush to try out a while back, and my boyfriend and I have both been trying it out for over a month. I didn't actually plan on sharing it, but you should have seen the sulky look on the boyfriends face when I showed him what the postman had delivered. The packaging has lots of quirky comments on it about men hiding it from their girlfriends, and it's not for girls. He was like 'Well you can't use it then!' .. I told him that I can, and would. So we shared. 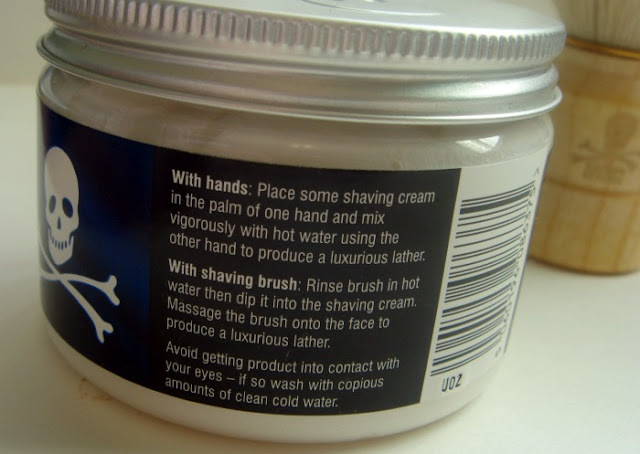 What they say: Designed by a real life Blue Beard who was bored to death with being a Desperate Dan look-alike, the flagship product in The Bluebeards Revenge™ range is a paraben free, premium quality shaving cream with added ingredients to specifically combat tough stubble. It has been formulated to our unique specification in one of the UK's premier male cosmetics laboratories who are renowned experts in the field of shaving cream. My boyfriend has this on his shelf in the bathroom, and uses it every time he shaves. He even told me off for using too much when shaving my legs and underarms. 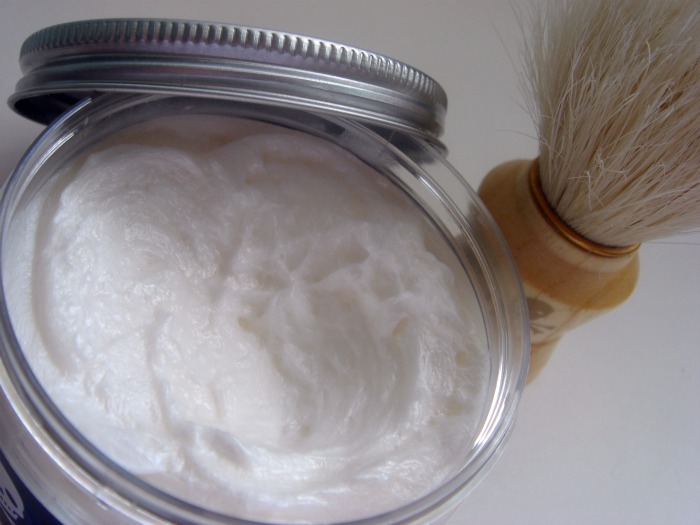 He loves it, he likes the smell, the creamyness of it, and how little you need to produce a really good lather. I do too, I tried the brush out, and it's nice to use, but I find I'm quicker just using my fingers, which is why I use more than him! .. It does smell nice, it has a slight masculine scent, but it is pleasant and not at all over powering. One of the great things about Bluebeards is that it has a special thing called 'Decelerin' in it, which contains a mixture of active ingredients that delay hair growth, reducing the frequency of shaving and depilation and at the same time providing a recovering effect on the skin. I have certainly found this to be true on my underarms, the hair doesn't grow back as fast, and it seems finer to me. My other half isn't that sure if he notices a difference yet, but I think he is shaving less that he used to, and his stubble doesn't seem as rough. All in all this product gets a thumbs of the my fella and me. He says it's gonna last him for ages, if I stop using it! (Cheek) - and he is keen to try some other products in the range. Bluebeards Revenge is available on their website. Check them out!